Never miss a single call ! contact solutions, we deliver more… much more. 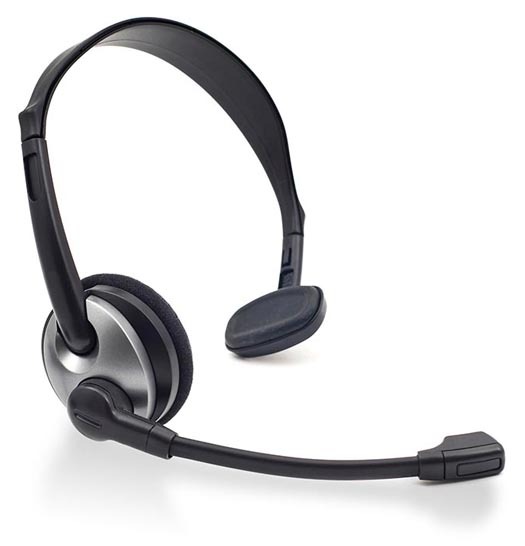 At LTK Contact Centre we provide a wide range of tailored services which ensure you stay connected with your customers. LTK’s expert knowledge combined with our bespoke systems enable us to manage the customer journey in a totally flexible way, providing maximum efficiency and a tangible return on investment. A flexible approach with a clear customer focus. What is the true cost of a lost call? Did you know that 27% of customers calls go unanswered and a further 25% of calls that are answered don’t meet their destination? More concerning is that most businesses don’t even know they are losing calls. Let LTK Contact Centre be the extension to your business. We can guarantee that every call is answered and managed to a successful outcome. Which ever service you require there is minimal set up required. LTK offer an unparalleled service. From our industry leading telephony performance to expertise in providing customer-centric contact solutions, we deliver more. Our unique understanding is that the activity is an “enabler” not the “outcome” – means that we deliver time and time again for our customers. just give us a call and we will be happy to talk you through them. Ensures you never miss a call again. to multiple receptionists, ensuring every call gets answered. LTK’s VR team answer the phone as though we are sitting in your office beside you, we then follow a structured process to ensure that we manage the call as you would, either by ‘Warm Transferring’ the call to the relevant department/person, or by taking a message and emailing the relevant department/person. This service ensures you never miss a call again, that you can monitor all messages supplied and that your customers always have human interaction with you. You are never ‘too busy’ to take a call. LTK’s Overflow service puts you in the driving seat, and allows you to answer the calls you can and ensures that when your busy you dont lose any calls. Overflow can apply to all types of inbound service e.g. Virtual Reception, Bookings, Message, Sales etc, and any type of media i.e. Online enquiries, Live Chat etc. Why let your business stop just because you are closed. LTK’s Out of Hours Service is just that, it continues to answer your calls or enquiries outside of standard business hours. Imagine how many customers are lost to you because you can’t answer your calls and enquiries, when they choose to call you. LTK’s Out of Hours service ensures your customers always have human interaction whether it is for bookings, messages, providing information – in fact, whatever the need we can assist. This service can be used for any of our services (i.e. Virtual Reception, Bookings, Out of Hours, Overflow). Once we understand what your business requirements are and we have you set up, your services can be switched on an off as required to assist you with the busy periods. You no longer need to find, recruit and manage temporary staff or pay recruitment fees. Whether your need is planned seasonal increases or adhoc business requirements, LTK can step in and answer your phones and/or any multi-media channels to match your needs. Our business is ensuring that you don’t lose business. LTK offers a full suite of multimedia capability for customer contact, including Live Chat, SMS, Email, Online Bookings, Phone – Inbound/Outbound. All of our multimedia channels are incorporated into our customer journeys and will be managed to full outcome by our telephony and Konnect systems. LTK responds to all enquiries by not only meeting customer expectations but exceeding them. Whether making or taking calls, we can help. LTK are experts in managing inbound and outbound call campaigns, our bespoke Konnect CRM management system is fully integrated into our Mitel enterprise telephony, thus ensuring every contact made whether by phone, text, email, live chat is recorded against the customer record. Furthermore our unique approach to the customer journey encompasses a wide range of marketing mediums, to ensure maximum conversion and demonstrable return on investment. Our simple cost per customer record includes the entire journey rather than cost per call attempt. Since every call could be an opportunity it is imperative not to lose any calls. Even with today’s connectivity you can still only take one call at a time and if you are in a meeting or unavailable, that opportunity could be lost. LTK can look after your diary and schedule your appointments, thus removing the risk of double booking or losing the opportunity. We can access your diary, send you alerts whether this is for an individual or your busy sales department. LTK will answer all of your calls anytime of the day or night and take a verbatim message. We will then either email or text you the information in order that you can make contact with your customer. LTK understands that clean data is paramount, we offer stand alone data cleansing activities as well as incorporating data cleansing into all our services where appropriate. As a data processor our knowledge relating to customer data is vast and we frequently identify where customer data may be missing or system parameters have not been set properly. Remember most staff do not look at whether system generated data is correct they just assume it is, therefore frequently missing opportunities. In order to satisfy the real and perceived needs of your customers, it is imperative to know what they feel about your products and services. LTK offers a CSI intervention within 24hrs of the transaction and records verbatim responses of each customer. Thus giving, you the information to phone the customer back and alleviate the situation should the need actually arise. This independent intervention is proven to get more direct feedback from the customer and because of the close proximity to the event, allows you to be seen in a much more positive light from your customers. All LTK clients have improved their CSI scores by adopting this approach. Because some times there is just too much to do or not enough to warrant employing someone, we can step in and offer support. Because our operation is 24/7 we can turn things around very quickly and efficiently. All members of our product sales team are extensively trained in your business ethos & brand values, products, selling techniques, features & benefits, objection handling, warranties, customer handling, required processes, payment etc, prior to going live and making calls on your behalf. Our unique approach to contacting “Live” and “Lapsed” customers intrinsically links to our customer journey planning. Dependent upon the product or service, we tailor the frequency of contact and the media types to be used. Our approach means we convert more. LTK can also take payment for your products if required. LTK puts you in the driving seat. Increasing Service & MOT retention year on year and achieving industry leading results from 1 Link & Motability management. Below is a sample of the services offered and performances achieved. LTK’s call quality management service enables you to receive an unbiased view on how your staff manage customer contact interventions, whether that be voice, email, live chat. Having an independent view on how your staff interact is a quick and easy way of improving your CSI scores. Often when we are close to process and people we tend to be more accepting as to why things are done the way they are. This can mean we don’t have an objective view, which can then blind us to seeing any issues let alone finding solutions and the cycle continues. Having another view based on consistent industry leading measures enables us to provide you with tangible quality scores with which you can act upon, if needed. In LTK’s experience CQM is predominantly project based. We carry out the CQM for an agreed period of time collate the results, present them to you with suggested improvements, then stop the CQM whilst you are implementing fixes. We then reinstate CQM for another agreed period to compare results. 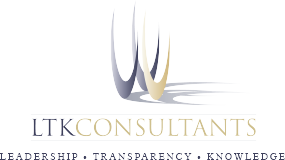 LTK has a wealth of experience in business consultancy and specifically for providing customer contact solutions. LTK not only manage multiple contact centres but have also provided consultancy services to a number of clients that have either already got their own contact centre or are looking to invest in one. In addition LTK can provide you with its bespoke Konnect software, which integrates telephony with the customer record and provides a unique contact journey with an outcome to each customer intervention irrespective of the medium used. Konnect is our intuitive and bespoke call/campaign management software tool. It uniquely links telephony with customer records and enables your business to operate efficiently and effectively. Konnect enables Inbound & Outbound call management to happen seamlessly and real time, thus enabling your teams to never have ‘down time’. Our analysis has shown that productivity is increased 3 fold. Our system ensures that you can manage the customer journey in a totally flexible and adaptable way. Choose when an email or text or call is strategically placed in a customer call journey, choose the interval & frequency for interventions to happen; manage every single intervention to a tangible outcome and measure when & what leads to conversion. Konnect is simple to use, thus reducing the amount of time spent training agents. The ‘agent desktop’ leads the agent down a process route without the rigidity of some systems (i.e. it has the flexibility for you to move backwards and forwards depending on how the call flow goes). Konnect has a complete management element that enables you to manage agent skill sets, Clients, Inbound / Outbound Capability, Products/Services, Campaigns, Values etc. Konnect enables you to manage your contact centre effectively & efficiently. Don’t take our word for it, contact us today for a free demonstration. LTK CONTACT CENTRE can aid your business from top to bottom. "There comes a point in time when you need to stand back from the business to assess the strategy. At that point a fresh pair of eyes can help to agree the way forward. LTK Consultants provided valuable support at the assessment stage and also provided a range of "hands on" workshops which provided the focus and motivation to help fulfill our expectations going forwards". "I am looking forward to working with LTK in future"